Those of you who follow my Facebook posts are aware that for 2013 I have set myself the challenge of folding an Origami shape every day. This was prompted by the gift of a Page-a-Day Origami calendar from my daughter, in which every day presents a different project using the preceding day’s page. Having committed to posting my daily creation on Facebook, I am compelled to follow through on my challenge each morning. I have discovered that, not only do I have fun folding paper into creatures and other shapes, but the process calms and centres me. Some days there are so many items in my schedule that I start the day with my brain whirring. 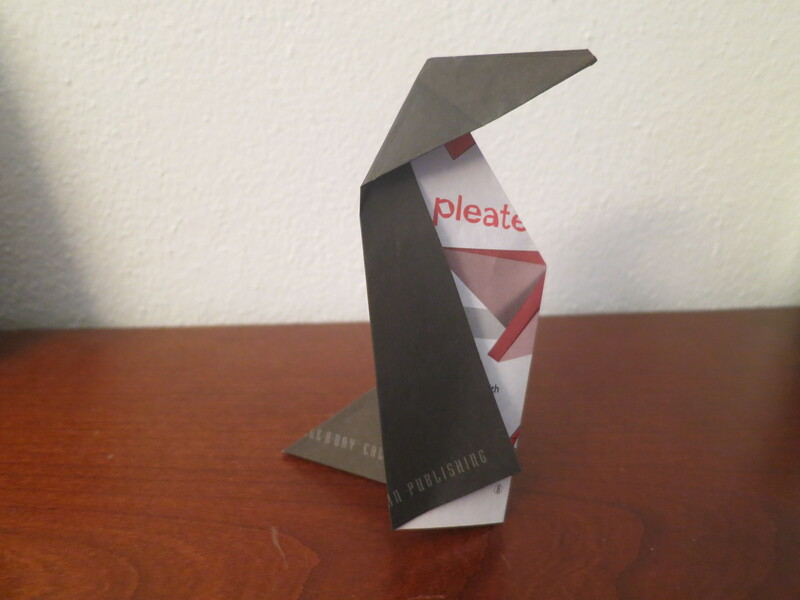 Yet once I begin folding the paper, I become relaxed and grounded. Who knew that origami could be therapeutic? The idea intrigued me so I Googled it. 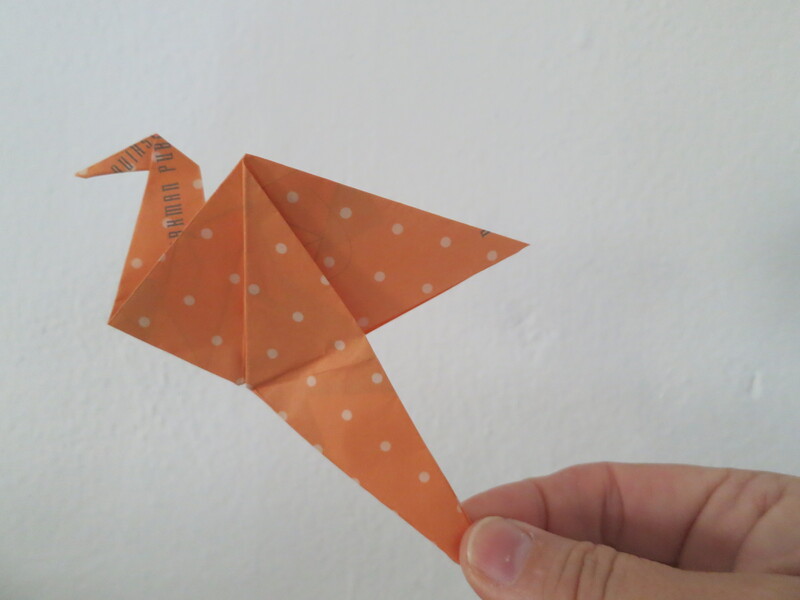 I found that therapists have indeed realized there are health benefits to origami. 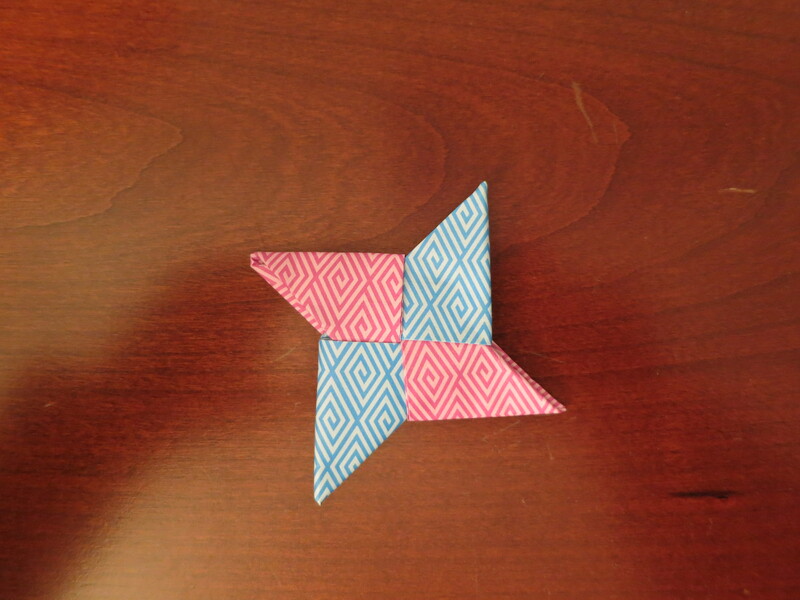 Not only do the fine motor movements provide physical therapy to people with hand injuries, but Origami can help people with low self-esteem, anxiety, ADHD, and other psychological conditions. As for me, I enjoy the daily challenge of folding a new shape, and the fact that when I have done so, I am ready to begin my day with a calmer mind. Last week I spent very little time on the computer. Oh, I still did the odd posting on Facebook and wrote a few emails. But for most of the week I chose to participate in activities away from my laptop. I played piano, painted, did household chores, carried out volunteer duties, read a book, experimented with recipes, walked, practiced yoga. In fact, when ideas struck me for which I needed the computer, I just stared at it for a minute and went to do something else. Because lately I have been feeling chained to that screen and keyboard. I had the sense that most of my life revolves around sitting at my desk and typing away. Blogging. Writing. Facetime. List groups. Emails. Research. I was fed up with parking myself in my blue chair every day. So I rebelled. I pushed that chair in and stayed out of it. Wrote no blogs. Wrote no fiction. Did only the minimum for list groups and Facebook (like my daily origami FB post). Don’t get me wrong. I love my computer and what I can do with it. I am amazed at what the internet offers. My laptop is the best tool I own. But my life seemed to be too much defined by it and I wanted–no needed–to change that. I know I am not alone in feeling overwhelmed with all the tasks and social media that feed our reliance on computers these days. Most authors I know do even more than I do. (Against much advice, I still don’t tweet on Twitter!) Somehow, I can’t help but think that all this time we spend staring at a little screen affects our appreciation of life as it’s meant to be lived. Certainly my week off helped me to remember how I enjoy doing those other activities that tend to fall by the wayside while I’m typing on my laptop. Will I go back to being chained to my desk? Of course it’s possible. Yet I hope that last week’s experience allows me to temper my time at the computer more. Everything in moderation, right? I had arrived at my mat with a brain full thoughts, things to do, emails to write, errands to run. Becoming quiet so that I could focus on the yoga practice was very challenging. But as I sat on the floor with my legs crossed and eyes closed, willing myself to be still, an image came to mind that almost immediately quieted my mind. In order for me to describe that image I need to back up a bit to Tuesday evening. Every Tuesday at six I participate in a recorder ensemble. 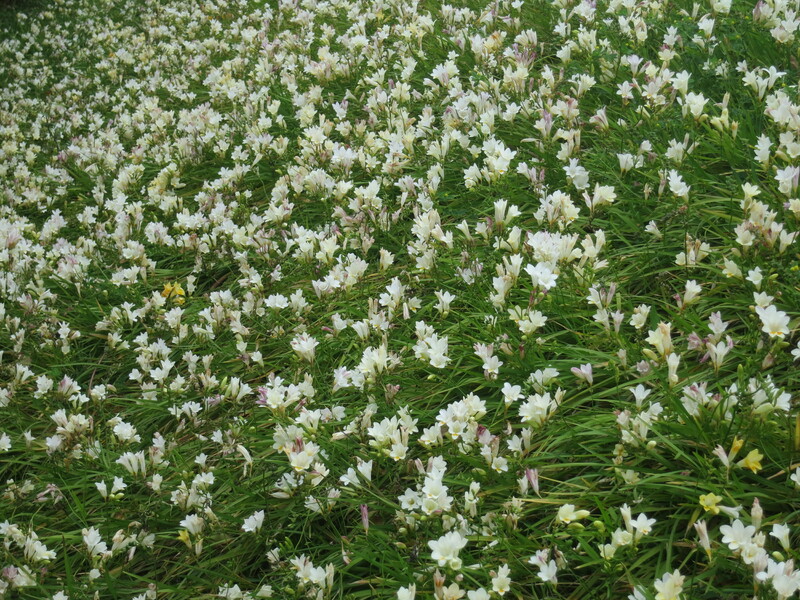 We practice at a church and the hills on the church property are currently overflowing with aromatic, beautiful wild freesias. For three weeks, I’ve picked a small bouquet of them to take home, each Tuesday expecting them to be at their end, but each week thrilled to find them still gorgeous and strong. This week, when I arrived at the church, one of the other recorder players came to greet me as I stepped out of my car. Olivia is a lovely young girl whom I believe to be around ten or eleven years old. While we walked to the entrance, we talked about the freesias. It seemed that she loves them as much as I do. I bet you’ve guessed what my calming image at yoga was today. Sweet Olivia lying in a bed of freesias like an angel. Imagine that a young girl could teach me about being quiet! Readers often ask me how I write. Do I map out the plot, make a story chart, use a flow chart or outline? My answer is usually this: I come up with a basic plot idea in my head, develop a sense of the characters’ motivations, decide what the end is going to be, and then the rest just happens. Basically, I think of myself as an organic writer, one whose stories flow out on the page (or in my case, into the computer) and whose characters take control of the events. It is not for me to spend days charting a novel. I’d rather let the story unfold as it develops. People who know me in ways other than as a writer are surprised at that, because I have a reputation for being super organized and thriving on structure. Then why do I not exhibit that in my writing method? Good question. I have found myself tangled up in plot conundrums and character crises often enough. So I’ve decided to rethink my approach for my next novel. I will take heed of my inherent need for “everything in its place,” not just in keeping my desk tidy or my computer files organized, but in figuring out exactly what is going to happen throughout the novel before I even begin Chapter One. Recently I purchased an app that is both a word processor and project management tool. Scrivener is geared to writers of all kinds of projects and is a powerful tool for having research and relevant notes at one’s fingertips. I’ve just completed the tutorial and I know just how I’m going to use it in planning out my next novel. I can’t wait to start loading up the index cards, and character and settings sheets, and…this organizational tool has got me excited. Let’s see if it helps me write a better book! Sunday was a rainy day. 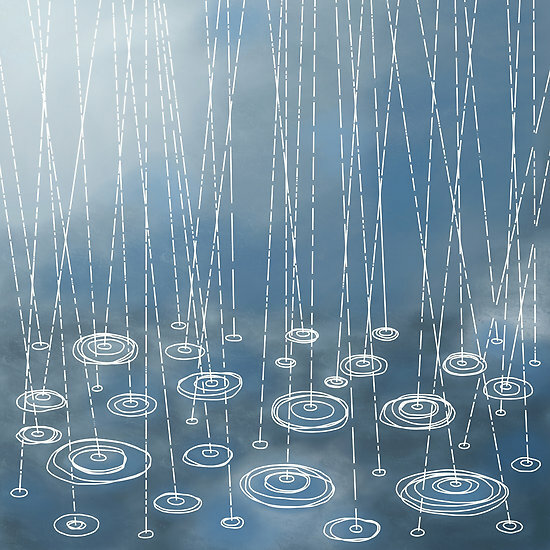 We had planned to golf in the morning, but at 8:00 a.m. we looked out the window at the grey skies and the rain pouring down and we changed our plans. We’ll just have a quiet day at home, we agreed. So we read the news in bed with a cup of coffee (tea for me), had a leisurely breakfast, spent the morning catching up on correspondence and other computer tasks, did a bit of laundry, read books, played cribbage. I wrote ahead of my schedule with my blog posts and doodled on the piano and practiced my recorder. We stayed in our pyjamas well into the afternoon! Ever have a day like that? Despite the foiled plans and the shift in our expectations, I find these days rejuvenating. A little bit like a holiday, even though I tackle tasks that are not at all holiday-like. A day like Sunday offers a chance to catch my breath in a busy life filled with activity. 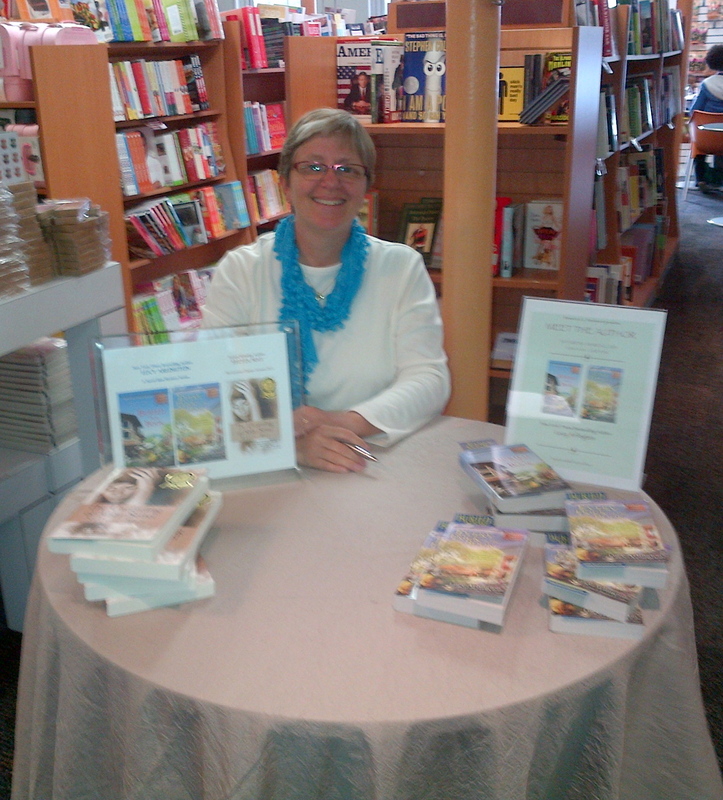 On Saturday I had a book signing at Brown & Co. Bookmart in Bermuda. Amongst shelves filled with books (heaven!) I sat at a table on which was spread books that I had written. Pen in hand, I was ready to talk to anyone who stopped by. I have learned that book signings have peaks and valleys of activity, and this Saturday was no different . During the “valley” times, I would greet people as they walked past or I’d browse books on the shelves near where I was located or chat with the store’s staff. The “peak” times, however, were when I found it especially worthwhile to have parked myself in the store for three hours. Talking to readers about my books, about being an author, hearing their feedback, or piquing their interest in my characters is both stimulating and inspiring. On this particular Saturday, I spoke with numerous avid readers (many of them young teenagers–yay!) and aspiring writers. It humbles me to be approached and listened to by these people. They take what I say to heart, so I make sure to respond to their questions in a thoughtful manner. I would like to share with you one encounter in particular. It involved a mother and her nine-year-old daughter. The mother was drawn to the Lucy Arlington books on the table because of their charming covers and wondered if they’d be appropriate for her child. She picked up Buried in a Book, asked a few more questions, and then the two went off to the coffee shop section of the store. A half hour later they returned to my table. The mother related how much she enjoyed reading the first chapter of the book and was going to purchase it. Would I sign it? she asked. She then mentioned that her daughter had a few questions for me. I turned to the young girl and encouraged her to ask away. She opened a small notebook in which she had written questions and proceeded to ask them. How many books have I written? Have I ever written children’s books? When did I start to write? The seriousness with which she listened to my answers completely charmed me. Perhaps, I told her, one day she would be sitting at a table in a bookstore signing books that she had written. Those words brought on a smile that lit up her face. We authors write books because we have stories we want to tell. Getting them published is an achievement to which we aspire. I find it extremely satisfying to hold one of my books in my hands. But having the opportunity to interact with the people who read them surpasses even that feeling, realizing that my experience touches and informs people in ways I never expected.